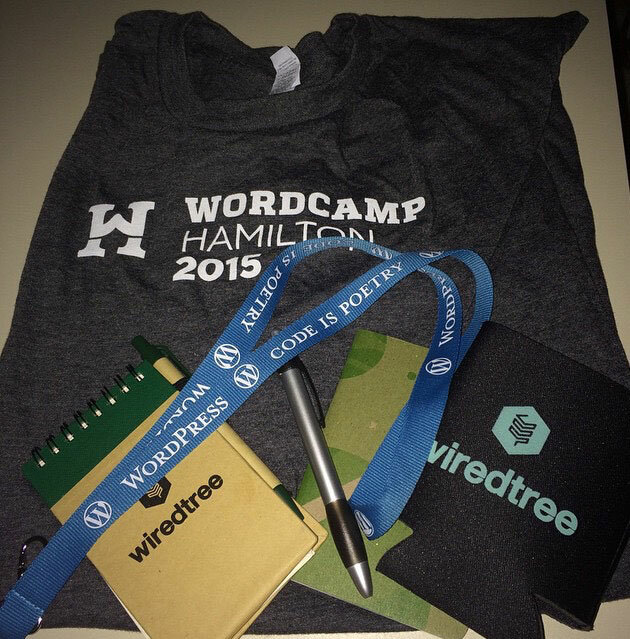 I recently attended the WordCamp Hamilton 2015. For those of you who don’t know, WordCamps are community-organized events that are put together by WordPress users and developers. This event had two tracks, one for beginners/bloggers/designers and one for more advanced developers. Each track had seven one-hour sessions with an expert speaker sharing their knowledge and information on a specific topic involving WordPress. I attended the beginners track, since I’m relatively new to the whole WordPress world. When I began my new role as Communications Coordinator, my level of knowledge of WordPress was below basic. However, I acquired those tools and skills quickly, learning as I go. In my position, knowing how to operate WordPress is crucial, as our company is a great supporter of WordPress. The Art of Pinterest for WordPress. This first presentation gave a review of the difference between WordPress.com and WordPress.org. To get right to the point, if you want to run your business off of WordPress and own the domain, WordPress.org is the one to use. WordPress.com is more for personal use, if you like to blog in your spare time. WordPress.org allows you to do more with your site, modify themes, add plugins and much more. If you have a WordPress.com blog and want to change over to WordPress.org, it’s possible, it just comes with a fee. New Motto’s team of experienced web developers are experts at creating functional WordPress websites. From the initial steps of choosing your theme to bringing your final website live on the internet, we will develop a WordPress website that suits your brand and vision. Learn more about our web development services here. Now, like most beginners to web design and development some of the topics were a tad advanced for me. For example, the Child Themes presentation, I thought it was literally about child-themed websites. Boy was I wrong, it is a completely different term and concept. “A child theme is a theme that inherits the functionality and styling of another theme, called the parent theme. Child themes are the recommended way of modifying an existing theme.” – WordPress Codex. To put it in simple terms, speaker Nick Adams used this example: Your Parent Theme is like your head. Your Child Theme is like a hat. Customizing the Child Theme is like changing the hat. Updating the Parent Theme is like getting a haircut. When developing a WordPress website, New Motto uses a child theme to make certain customizations to your website. Making customizations using a child theme allows you to update your parent theme (for example, if an updated version of the theme becomes available) without the fear of those customizations being overwritten. The last presentation I attended was quite interesting, it was discussing how to make your blog post Pinterest-friendly. What intrigued me about this topic was the fact Pinterest is so much more than it appears. Pinterest is not just for browsing do-it-yourself ideas, design, make-up, fashion or baking ideas. Using Pinterest for your business is a way to build your reputation in a niche market. You can integrate Pinterest into your WordPress website in a variety of ways, including verifying your website with Pinterest, creating a “Follow Me” button, or displaying a Pinterest board in a sidebar widget. WordCamp is very informative. It’s a great way to meet new people who are either starting up or are in web development/social media. Whether you are a beginner or advanced learner/developer these sessions shared a great deal of knowledge. To stay connected with all the latest WordCamp news follow them on Twitter: @WordCamp and for more information and upcoming WordCamp conferences check out: https://central.wordcamp.org. If you would like to read more about the speakers, I’ve included the links to their presentations under Sources, below. Check out the free swag we also received. Who doesn’t like receiving free stuff? I also connected with new individuals, bloggers and developers who shared their experiences as well. Looking for help with WordPress web development for your business?